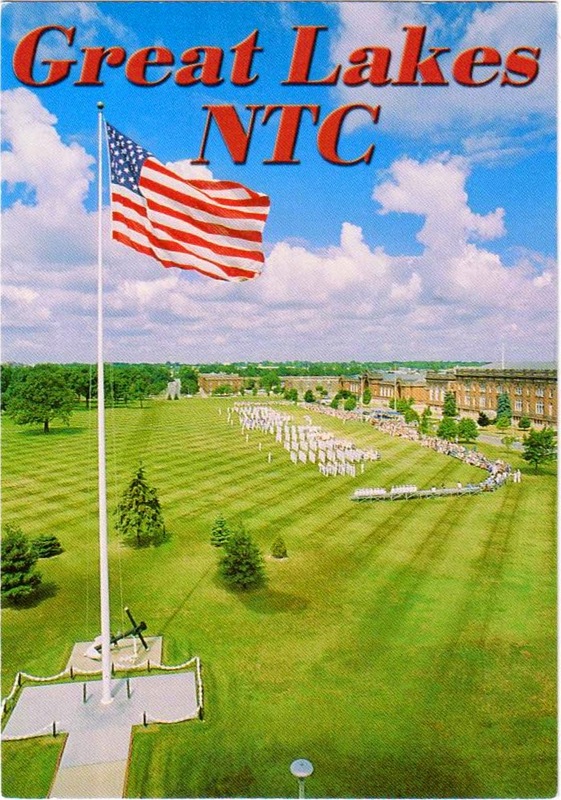 Outgoing postcard US-3202777 to Poland shows an event on Ross Field, carrying on a long tradition of Naval Ceremony at Great Lakes Naval Training Center (NTC), home to the Navy's largest Recruit Training Command as well as the largest Service School Command. The NTC was dedicated in 1911 and is located on Lake Michigan, just 35 miles north of Chicago and 45 miles south of Milwaukee. The Great Lakes Naval Museum, one of fifteen official U.S. Navy museums, is nearby.